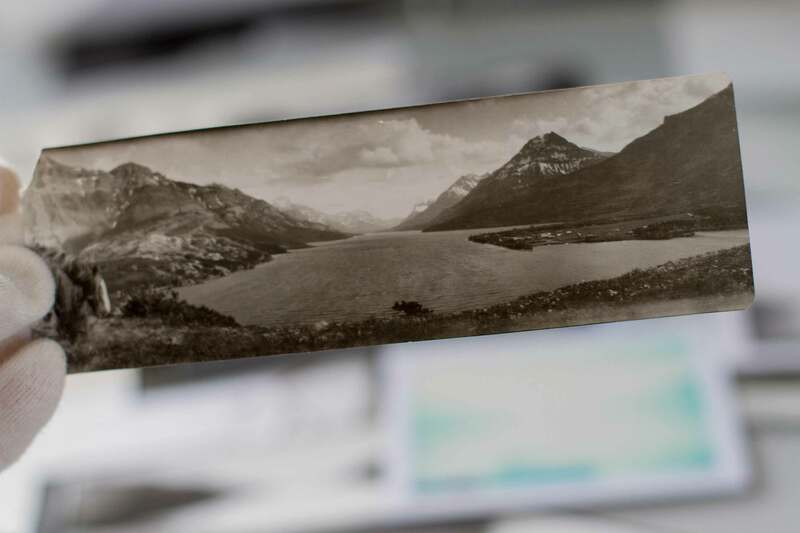 Finding Aid is an alternative archive charting the impossibility of photography in Waterton Lakes National Park, Alberta. Over the last decade my work has explored relationships between photography and protected areas (such as National Parks) and the impact they have on one another. Alongside graduate work in art, anthropology and environmental studies, I began reenacting historical photographs. I drew upon my training as an artist who works with photography and as an anthropologist performing fieldwork (and my experience working as the photographer on the Mountain Legacy Project), returning to locations that historical (often iconic) photographs were made from. 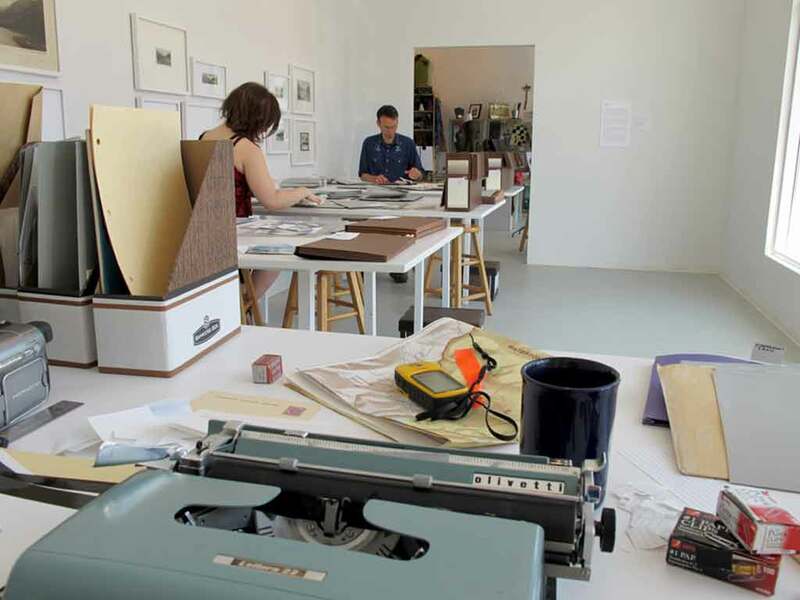 Contesting the monumentality of colonial archives and the effect these objects have on ways we relate to parks (e.g. as playground, as spiritual refuge, as ‘living museum’), I took archives for a walk to examine and interrupt their relationship to truth, and to carefully consider conditions under which photographs are produced and how these limit other possibilities for life. Through performance and excessive failure of trying to get back to the exact location that a photograph was originally made from — the precision of spatially locating a photograph and imprecision of wandering — I produced a new archive of photographs, drawings, ephemera, and fieldnotes of photographs from Banff and Waterton Lakes National Park. 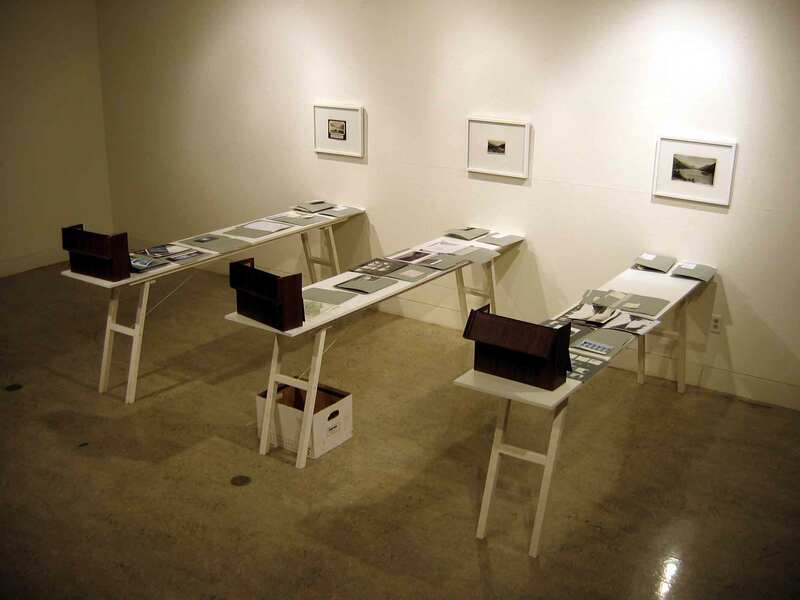 In Finding Aid, exhibited at the Southern Alberta Art Gallery (2010), selected archival photographs from Waterton hung framed on the wall, and documentation of my attempts to re-enact them overflowed from files organized on tables. 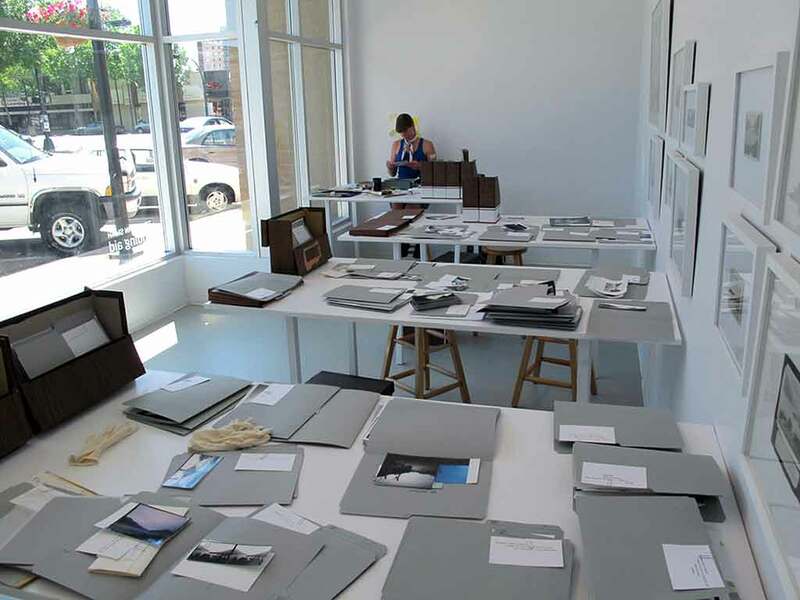 I performed in the gallery as a live index — a ‘finding aid’ to the collection — adding to the archive. 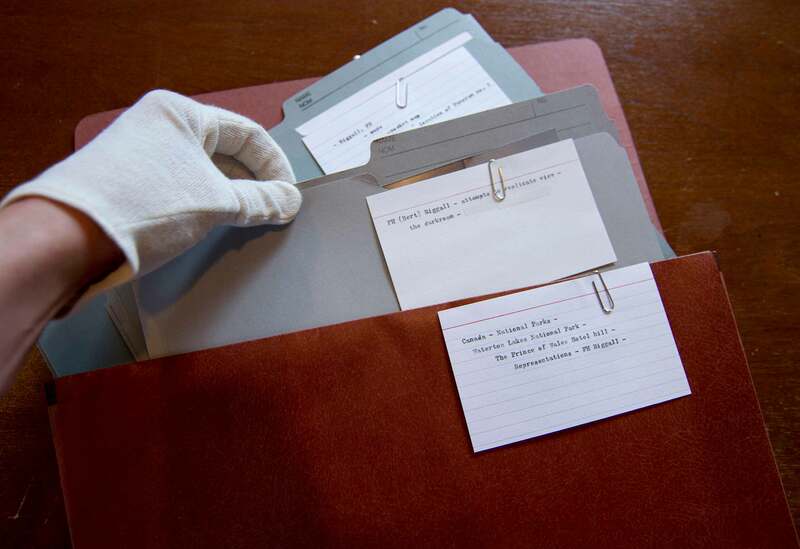 As visitors sorted through the collection our conversations produced new social histories: added to the archive in a chorus of connections. In late 2015, I sent part of the finding aid collection to Karen Engle, at University of Windsor as part of a special issue of Imaginations Journal of Cross Cultural Visual Studies. 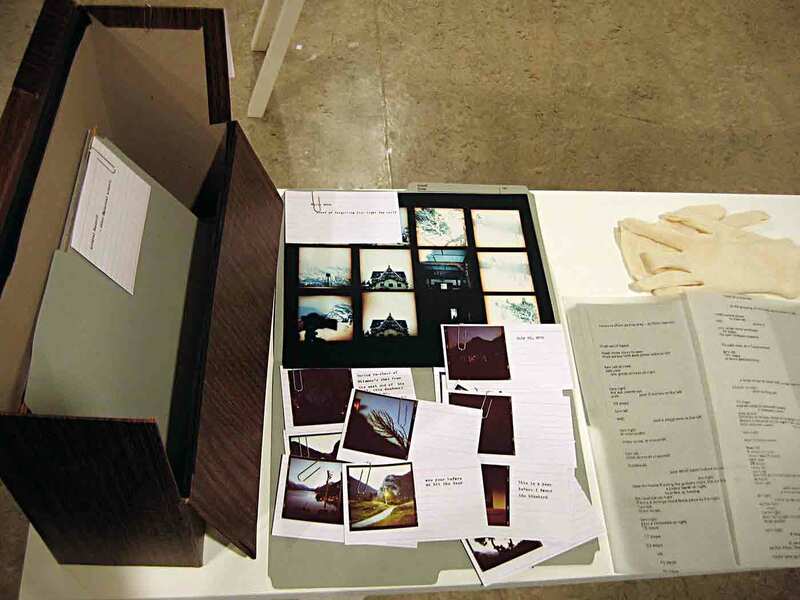 She worked with the archive and wrote Fragments of Desire (2016).